Children between the ages of 8.5 - 11 are invited to an afternoon of fun! 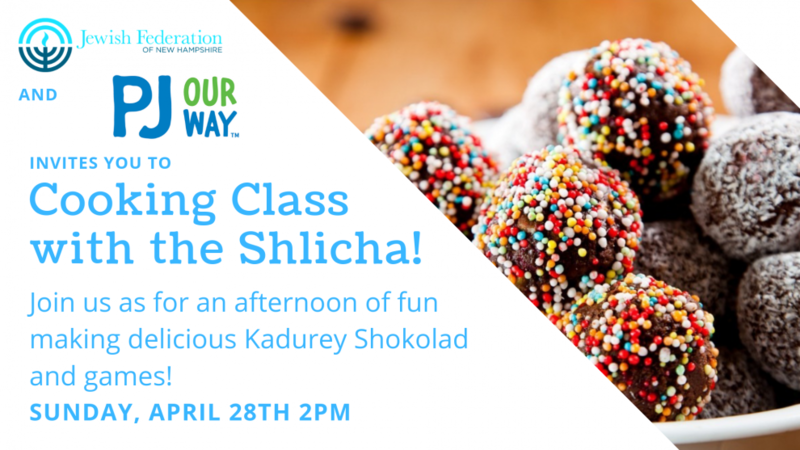 New Hampshire Shlicha Noam Wolf will lead us in a cooking class where we will be making Kadurey Shokolad (chocolate balls). While our treats are cooling we will play traditional games played by children in Israeli scouts! Parents are invited to stay for the fun but not required to. This event is being held in a private home and the address will be given with your RSVP.